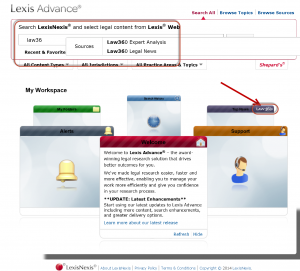 Follow the latest news on trials, settlements and the legal industry with Law360 on LexisAdvance. You can access Law360 by clicking on the tab in My Workspace or entering its title in the Search box and selecting it from the suggested titles. 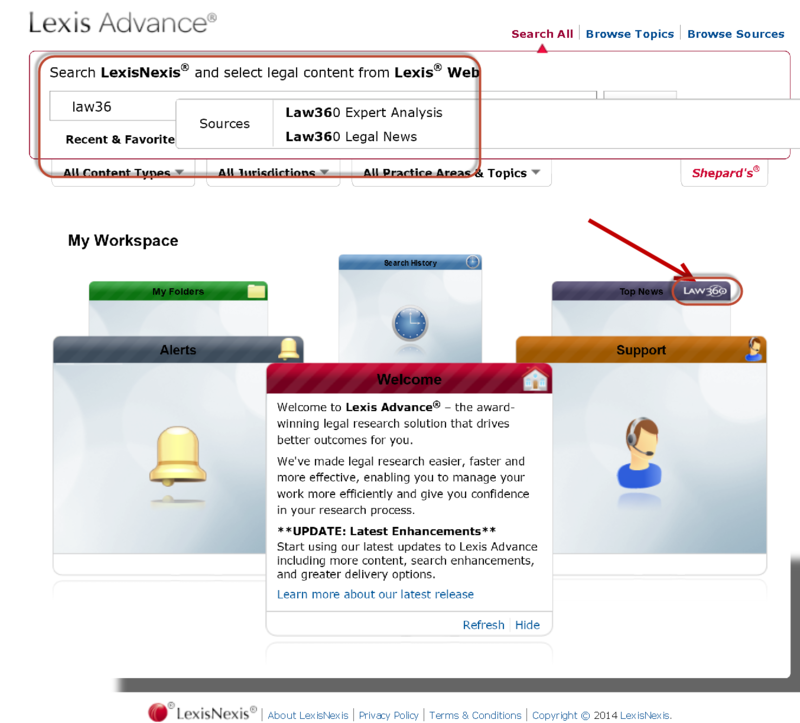 Law360 is updated daily and the archives are searchable on LexisAdvance, so it’s a great resource to check when preparing for an interview to get all of the latest news on a law firm. It’s also a great resource to check for information on settlements and noteworthy trial decisions. If you have any questions about using Law360, please ask a reference librarian. This entry was posted in Database News, News for Faculty, News for Students, Research on February 27, 2014 by Margaret Krause.